Self talk can be a great tool use in life when it comes to tackling tasks or goals, but there is a form of self talk that can be detrimental to your progress in the process. It is negative self talk. Have you ever attempted to complete a task whether it is personal or business related and you tell yourself that You Can’t or You’re not good enough to do it, etc? I have quite a few times. I mean there have been times that I have almost literally talked myself out of even trying. This is called negative self talk. By listening to those voices, you are self sabotaging your own progress. You are not giving yourself a chance. But it does not have to continue, you can stop it. It can be stop by replacing with positive self talk. Well, you may wonder HOW? There are some steps that I use to change those voices in my head. I have used these steps in the past to help me and when negative self talk try to come now, I still use them. Because it will try to continue to show up but since I have a process in my possession, it doesn’t stand a chance now. In life, it is all about having the right tools to make it. I am not perfect, I am a work in progress. As as long as I continue to do the work on myself, I will continue to strive. Some days are GREAT and some days I have to get my list of steps out and go to work. I always believe that there is so much work individuals can be doing on themselves until they will not have time to worry about what others are doing (I had to add this because many waste time that they can be investing in themselves on worry about the next person which will yield no return for them). Back to the topic, you can change those voices in your head to your cheerleaders instead of naysayers. 1. 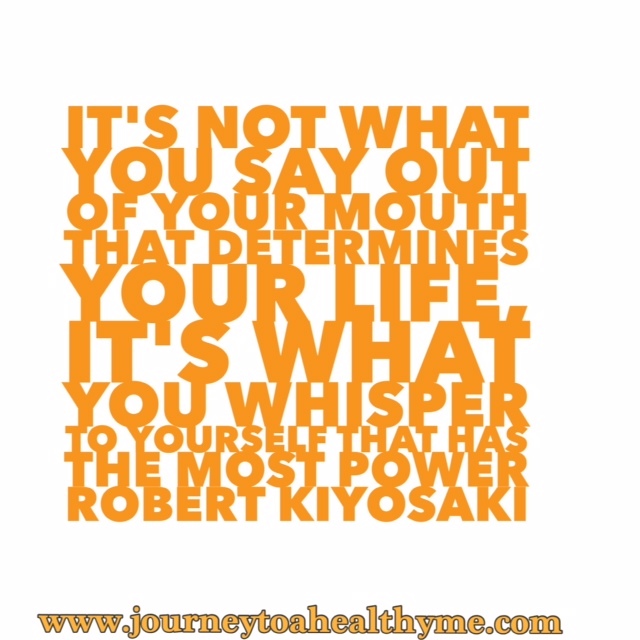 Acknowledge that the negative self talk is there and jot down the sayings on a piece of paper by itself. 2. Ok, so you see what they are saying, now write down some strengths you have or what you are good at. You can take your time on this step because the more the better. 3. Write out some past accomplishments. This will remind yourself that you have what it takes to accomplishment what you are trying to do. You are an achiever! You can also take your time on this step because you are getting that boost of motivation to develop positive self talk. 5. Destroy the piece of paper with the negative self talk. While working through these steps, you will be self esteem building, developing more tools to help you accomplish your goals, and eliminating the negative self talk out of your mind. I would love feedback, how do you eliminate the negative self talk when it comes? This has been shared on Fridays Blog Booster Party, Pin Worthy Wednesday, Wednesday Wisdom, Link It To Me, and Motivation Monday. Next Post Will the time ever be right? Self questioning and challenging that derogatory voice is paramount in self-actualisation and realisation. Tell it to shut the hell up! You wouldn’t accept offending verbal from another, so why allow it from ourselves? ?! I know you follow my blog Please, This Was Meant To Be but I have created a different, fitness blog that you may be interested in! it’s https://happyfunhealth.wordpress.com/ and I just thought you may wanna check it out! You’re welcome! You’re so inspiring! I love it! Your blog is very helpful. SINCE I have been reading it, I have started to set goals and everyday I find a way to get closer to achieving it. I have also start finding some me time,I didnt know what I was missing. THANK you and keep it coming!! I love the encouraging words. You are so right about this post. Keep it up. Great advice! Negative self-talk is a destructive habit. it’s part of an essential defence mechanism that we often develop to protect ourselves. Writing about your accomplishment provide perspective and help you curb negative self-talk. Found u through Janice’s blog. Have a great day! I think writing down past accomplishments is such a great tip. Sometimes the act of writing things down alone can bring up positive thoughts. Thank you for this important reminder. Thanks so much for stopping by sharing kind words. Great encouragement here. My daughter is the worst negative self-talker. So I hope to adapt some of these to use with kids. Thanks so much for stopping by Valerie and sharing your daughter’s experience. I hope these tips are helpful for her. It’s so easy to spiral into negativity – great tips for getting it under control. Yes it is very easy. Thanks so much for stopping by and sharing your thoughts, Amanda. 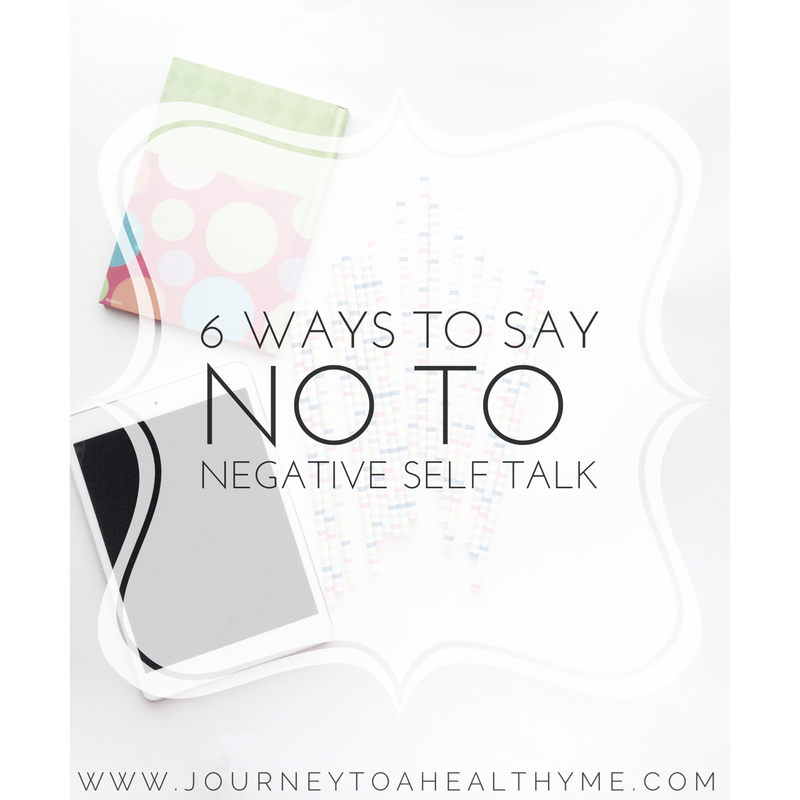 These are great ideas to get rid of negative self talk! Negative thinking is so damaging in so many areas of life. I try to keep in mind all that I have to be thankful for when the negative self talk comes into my mind! Great ideas! It makes such a difference when we change the words we use. I am all about positive thinking and talking! Even if it is self talking! The other day I told myself I can’t do this. I bake and decorate cakes and the last cake was a shaped cake. Somethings weren’t working out as planned and I remember telling myself I can’t. Then a louder voice said yeah you can! That totally turned my attitude around and I finished the cake! So proud of myself! Thanks for bringing this positive attitude to Fridays Blog Booster Party#9 What you say is so true, I guess most of us suffer from this bad self talk and like you say it is destructive to our progress. Thanks for the ideas of replacing it with more positive content. You’re very welcome, Kathleen! I was glad to participate. Yes, I believe it is very common. Thinking of the positive definitely does help. Thanks for sharing your experience. A great example of showing that we have a choice in the matter regardless of what the negative may say. I am glad that you stopped by, Sue. 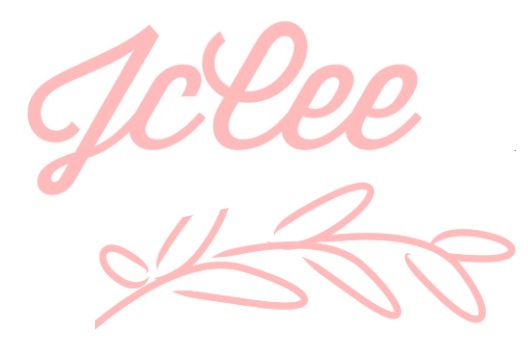 Your posts are beyond inspiring JcCee! JcCee, you have done it again, this post is in the TOP 6 most clicked, it will get special mention on Friday. I am honored, Kathleen!!! I hope eveyone who clicked on it found it helpful. Thanks for the encouragement! I definitely think these are good reminders! I think tip #1 about writing down the negative thoughts is so important! Most times we aren’t even aware of the number of negative things we say to ourselves in the day, this would really hep us all to be mindful of our thoughts! Thanks for joining the Link-It To Me Link Party! I hope you will party with us again next week! Thanks JcCee for sharing with us at #WednesdaysWisdom! Pingback: GS Mission: Sisterhood! Journey Session 9–Giving Yourself A “Good” Talking To – Remaking a GS Journey–Mission: Sisterhood!